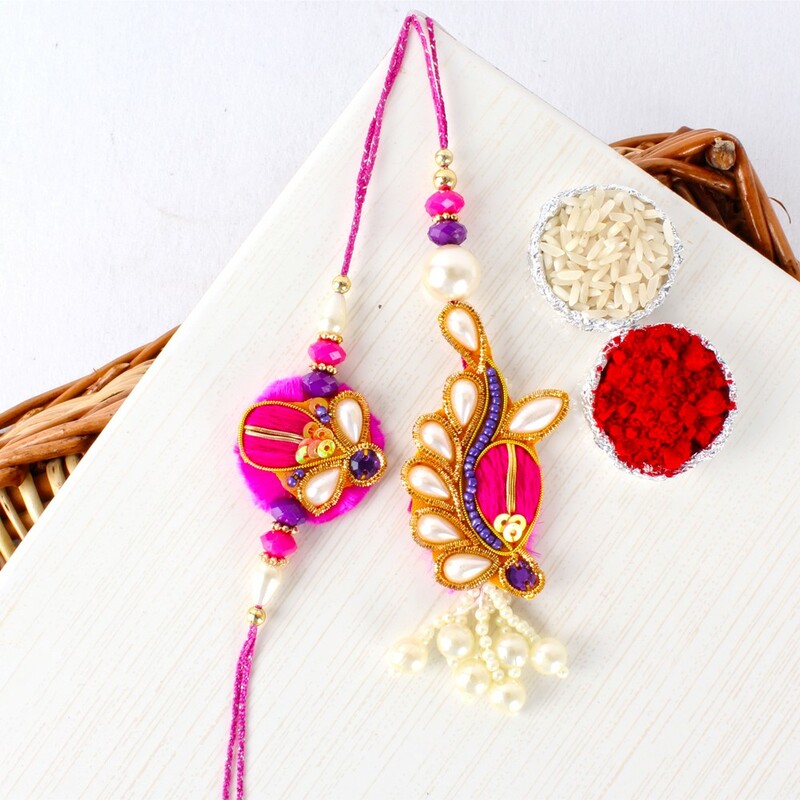 Raksha Bandhan Is Ocassion to Express your emotion to bhaiya bhabhi that how much important are they in your life and how much you care for them .Bhaiya and Bhabhi are who will always love and protect you no matter what. 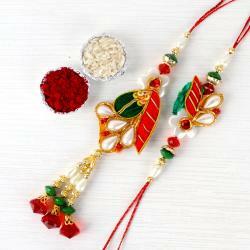 Despite of numerous fights, funny arguments they will not be able to resist loving you. 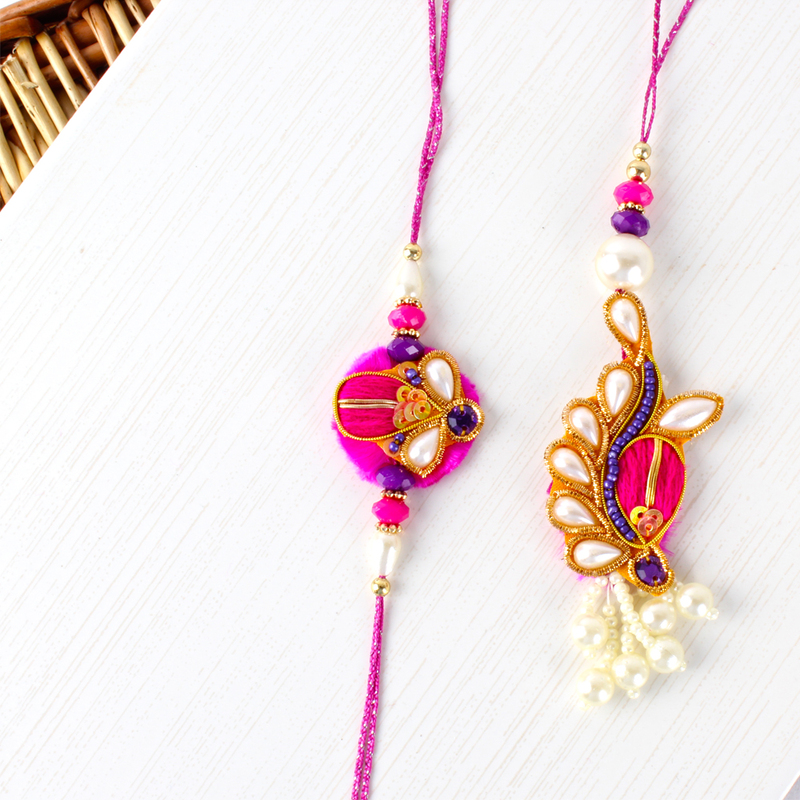 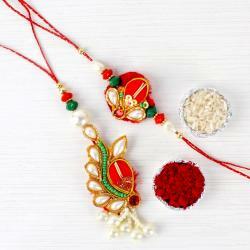 So as this auspicious occasion of Raksha Bandhan arises show your love and care towards your bhaiya as well as your bhabhi by gifting them with lovely Colorful Rakhis Product Includes : Designer Bhaiya Bhabhi Rakhi Lumba Rakhi Made Out of Woolen Thread Zari Work with Drop Shape Beads also Colorful Beads In Latkans Along with Packet of Roli Chawal.